We all know the mini version of Samsung’s flagship Galaxy S series. But where is the compact version of the Samsung Galaxy S6? 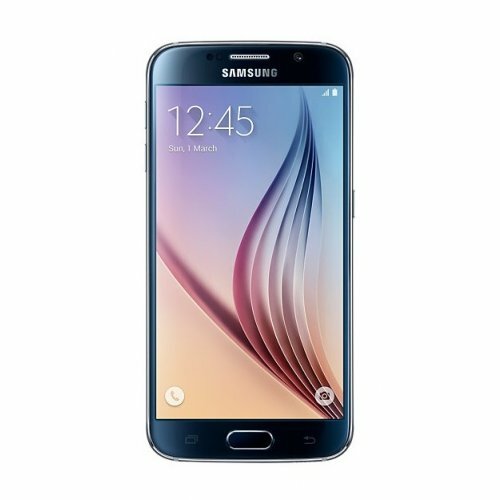 New leaks on an online retailer site hint at an imminent release of the Galaxy S6 Mini. Samsung hasn’t released a mini version of its flagship Samsung Galaxy S6 this year. Yet, according to a leak from Dubai-based e-commerce firm LetsTango, it appears a Samsung Galaxy S6 Mini is scheduled to be released soon. Galaxy S6 Mini has been overdue for months. The flagship Galaxy S6 was released in March 2015, and previous versions of Samsung Galaxy S series released a “Mini” handset a few weeks after the flagship’s launch. Rumors already confirmed a compact version of Galaxy S6. Its features appeared listed on gfxbench under codename SM-W2016. But the release on the e-commerce site Letstango is the first evidence of Galaxy S6 Mini. The handset is not available for purchase, yet. You can only subscribe to get a notification when the handset is available. 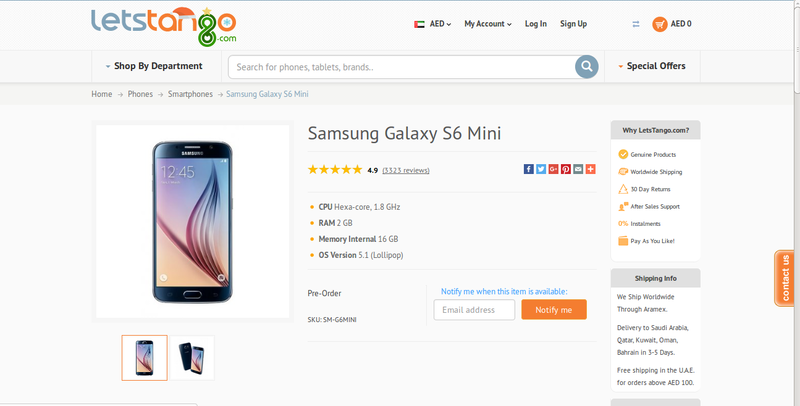 According to the specifications on Letsango, the Galaxy S6 Mini comes with Android 5.1 Lollipop out-of-the-box. The S6 Mini is powered by a Hexa-Core 1.8 GHz processor running on Adreno 418 GPU. It comes with wireless charging capability, like its flagship device. It also includes a PayPal certified fingerprint sensor. The screen-size is 4.6 inches and includes a super AMOLED capacitive touchscreen featuring 16M colors. The camera is 15MP at the back with 5MP front facing primary camera. The battery is non-removable. The smartphone comes with Corning Gorilla Glass 4 protection.